In order for a filling to last, there must be a sufficient amount of tooth structure remaining to support it. When a large cavity or fracture results in the loss of excessive tooth structure, a crown becomes the treatment of choice. A crown is a restoration made of gold or porcelain that completely covers and protects the tooth. Traditionally, gold represented the best fitting, longest lasting restorations. However, modern milled ceramics designed and fabricated using CAD CAM technology have resulted in restorations with a strength and fit rivaling that of gold. A crown normally requires two appointments. 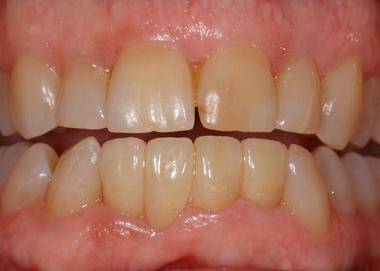 At the first appointment, the tooth is shaped, an impression made and a temporary crown is placed. When an outside dental lab is used, the final crown is delivered in 2-3 weeks. CAD CAM crowns are usually delivered in 7-10 days, but can be completed in a single appointment if the patient desires. We use the Planmeca system to design and fabricate all of our CAD CAM restorations. Our other crown and bridge work is designed and fabricated in conjunction with premier dental laboratories. Currently we work with Ragle Dental Lab, LSK121 and Winter’s Dental Lab. 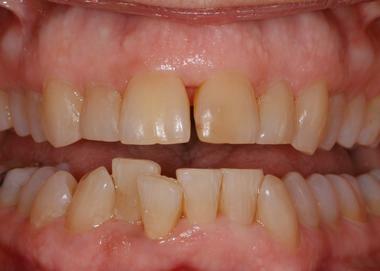 Additional photos of completed Crown cases can be viewed in our Smile Gallery.